The cutest way you'll ever care for your cuticles. These adorable solid lotions make it convenient and fun to give some TLC to your cuticles and nails. They take up little space in their half ounce tin. One of the best parts is that they don't leave your fingers feeling greasy. It absorbs quickly - a little goes a long way! No artificial hardeners are used in this solid lotion, so it will respond to temperature changes. In cooler weather you can expect to warm it in your hands for easy application. In warmer temperatures expect it to glide on with ease. And! 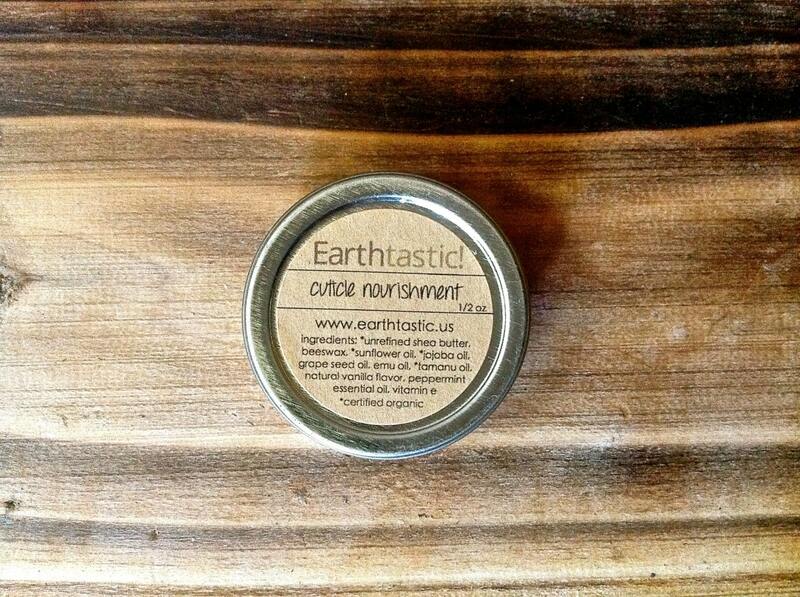 Earthtastic Cuticle Balm smells like peppermint & vanilla. Yum. 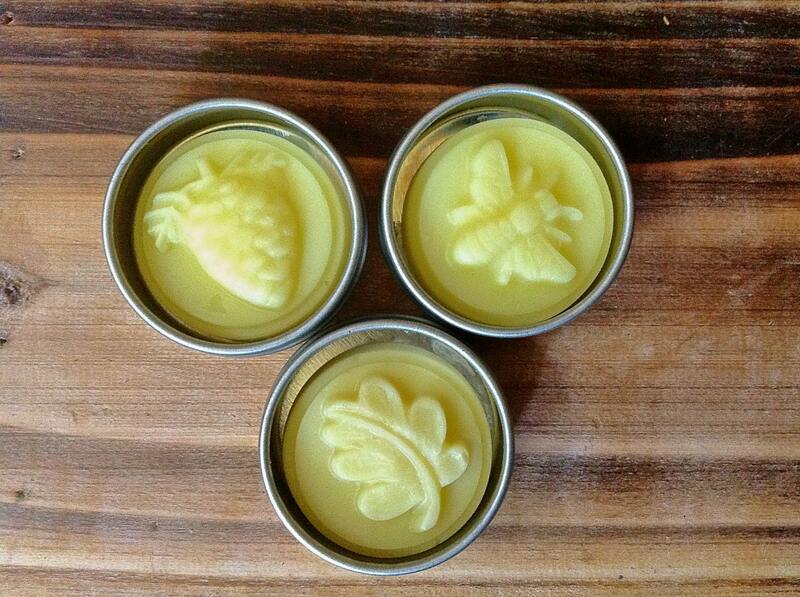 The same ingredients are used as the wildly popular Remedy Bar, too. What else is there to know? This listing is for one (1) Cuticle Balm in a half ounce tin. You will receive one of the following shapes: pinecone, bee, or leaf. 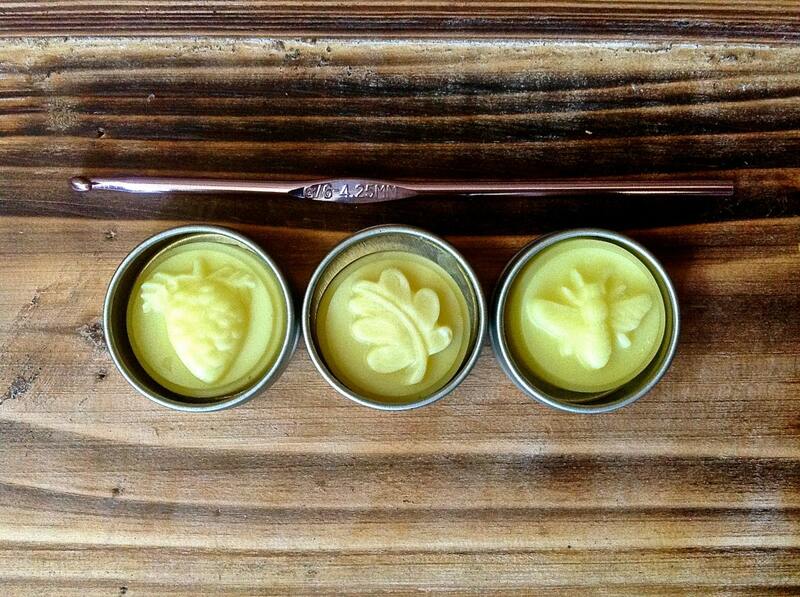 -Beeswax: Locks in moisture and protects the skin. -Organic Unrefined Shea Butter - Full of vitamins, rejuvenating, and moisturizing properties, shea butter offers a low level of UV protection and warms nicely to the skin allowing easy application. -Emu Oil - A powerhouse in the healing field. -Grapeseed Oil - Quickly absorbed into the skin and terrific for those with sensitive skin. -Organic Jojoba Oil - Absorbs wonderfully into the skin as it matches our skins own sebum. Works wonders in assisting with many healing processes. A great and necessary product in lip care. -Organic Sunflower Oil - Easily absorbed, rich in vitamins and unsaturated fats, this oil is designated to treat dry, damaged skin. -Organic Tamanu Oil - Phenomenal healing to damaged skin as well as aiding in the treatment of sores, rashes, stretch marks, and more. -Vitamin E Oil - Moisturizing as well as a natural preservative. -Natural Vanilla Flavor and Peppermint Essential Oil: delightful stimulation for your nose.